Recognizing his leadership qualities and his Gursikhi Jeevan, Bhai Balwinder Singh was soon established as Babbar Khalsa’s Malwa Area Commander. Bhai Balwinder Singh and Bhai Charanjeet Singh ‘Channa’ were driving towards Sadhugarh village when they saw a police checkpoint. They abruptly turned their jeep around and ran into nearby fields for an encounter with the police. Both had little to no ammunition at the time so they decided to end their lives by taking a cyanide capsule. Both Singh’s had very little ammunition and were soon martyred by the police. 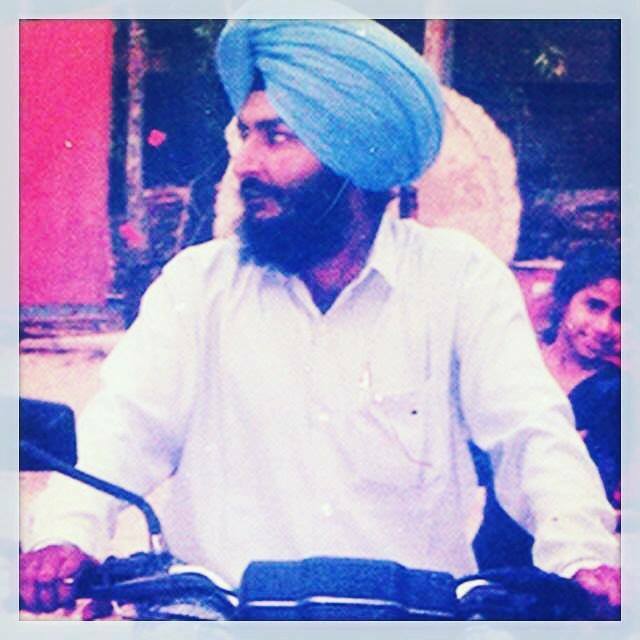 Shaheedi Dihara Of Amar Shaheed Bhai Balwinder Singh Jatana. 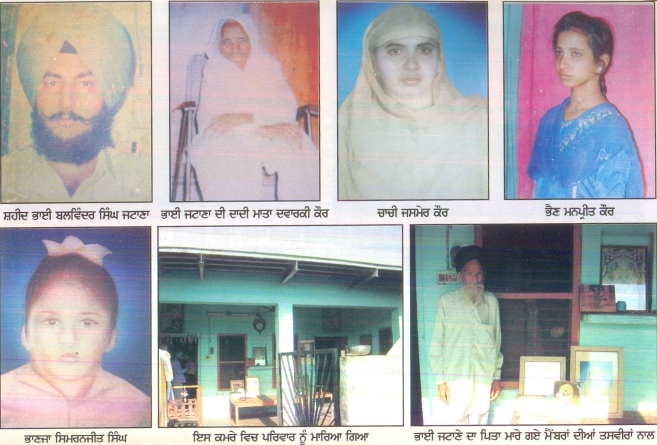 On 29th August 1991 Five Members Of Bhai Sahibs Family Were Shot Dead And Burnt Alive In A Fire That Dusht Poohla And His Gang Of Thugs Carried Out In Retaliation Against Bhai Charanjit Singh Channa And Bhai Jatanas Bomb Attack On Sumedh Saini. Since the birth of the Khalsa in the Land of Five Rivers, countless sons and daughters of Punjab have given their lives to protect their freedom, their people and their natural resources. 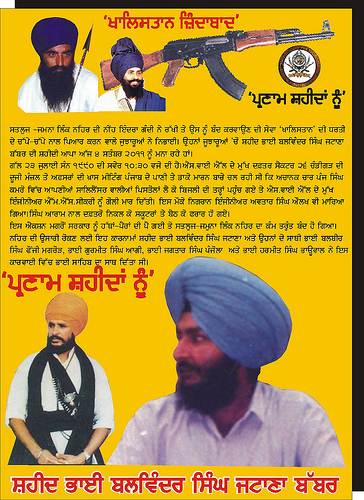 Just like the looting foreign invaders have taken different forms in the army of Ahmad Shah Abdali, the British colonialists, and today’s foreign and Indian capitalists, Punjab’s organized resistance has manifested itself from time to time in the Babbar Akalis, the Gadhr Party and the Kharkoo Jathebandis of the Sikh Liberation Movement. 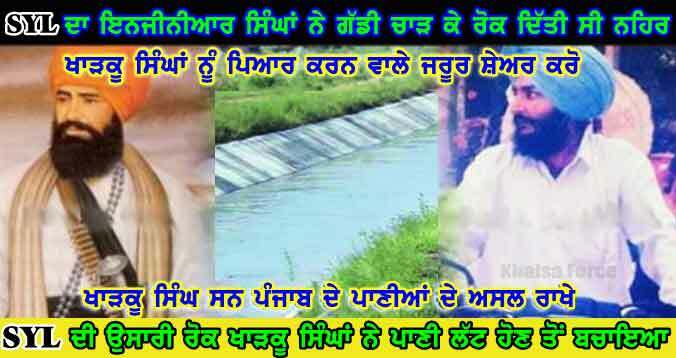 Divert and Steal Punjab’s river water. On the morning of the July 23, 1990, after peaceful means to stop the construction of the SYL-Canal kept failing, at around 10:30 pm, all four of the Guru’s Singhs approached the head office on scooters while the chief engineers of the SYL project held a meeting on the second floor of the building. The jatha of Babbar’s entered the office casually and made their way to the meeting place with silenced pistols. Like lightning, they struck – eliminating M.S. Sikri and Avtar Aulakh, the engineers who were collaborating with the Brahmin Sarkar to loot Punjab’s resources and livelihood. Just as casually as they had entered, the Singhs walked out of the office and left on the same scooters they had come on. The government was shaken by the audacity of the action and immediately halted the SYL project. 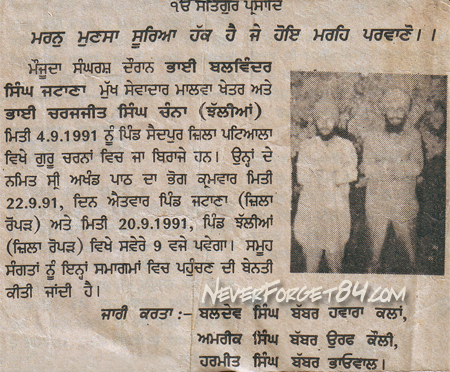 On August 29th of the following summer, Jujharoo Singhs attacked SSP Sumedh Saini, killing his driver and bodyguard. Saini survived the attack with few injuries and his suspicion immediately fell on Bhai Balwinder Singh. Exactly 26 years ago, on August 30th, 1991, Shaheed Bhai Balwinder Singh Jatana’s family was brutally murdered and their bodies burnt by Ajit Poohla and his gang of criminals. In disguise to investigate if the local villagers knew anything about the perpetrators. One member asked a local villager, “How many were killed?” The villager replied, “Four”. The member shockingly said, “But there were supposed to be five.” The villager did not understand the implication behind the statement but it was revealed by other villagers later that some policemen had come to the village to find out how many family members of Bhai Jatana were present in the house so that a killing squad could be sent at night. When the police came there were five people in the house. During the turmoil times it was custom to have some members of the family sleep elsewhere. This is why the fifth member, Harpreet Singh, nephew of Bhai Sahib slept at neighbor’s house and thus escaped death. It was a clear sign of police brutality against innocent people of Punjab. The police was unable to capture Bhai Sahib so they decided to go after the family and collect money from the government as a reward. The police knew that Bhai Sahib would come after the killers so they spent night and day looking for him. Raiding multiple places in a day became a common routine for the police. 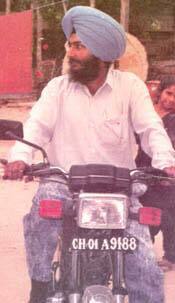 On September 4, 1991, that an informer alerted the police of Bhai Sahib’s whereabouts – hoping to collect the Rs. 16 lakh reward on his head. 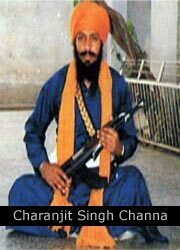 When police surrounded him, his companion Bhai Charanjeet Singh was also with him. It was the afternoon of the fourth when Bhai Balwinder Singh and Bhai Charanjeet Singh ‘Channa’ were driving towards Sadhugarh village when they saw a police checkpoint. They abruptly turned their jeep around and ran into nearby fields for an encounter with the police. Both had little to no ammunition at the time so they decided to end their lives by taking a cyanide capsule. Both Singh’s had very little ammunition and were soon martyred by the police. No action was taken against the police for killing innocent people. Many like Phoola were rewarded with large sum of money. It was only after the death of Bhai Sahib that the police could sleep peacefully but their terror and oppression continued to haunt the lives of people of Punjab. ਬਾਪੂ ਜੀ! ਆਪਣੇ ਪਰਿਵਾਰਕ ਪਿਛੋਕਡ਼ ਬਾਰੇ ਦੱਸੋ? ਬਲਵਿੰਦਰ ਹੋਰੀਂ ਕਿੰਨੇ ਭੈਣ-ਭਰਾ ਸੀ? ਬਾਪੂ ਜੀ, ਆਪਣੇ ਸਿੰਘਾਂ ਨੇ ਜੋ ਲਡ਼ਾਈ ਲਡ਼ੀ ਉਹ ਜਾਇਜ਼ ਐ?